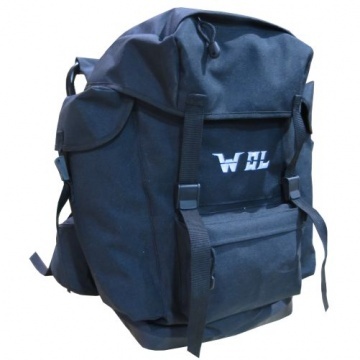 WOL chair rucksack 1701 is simple basic chair rucksack with light aluminum chair. Capacity about 50 liters. Colour black.